Former Thunderbird softball standout Sarah Murphy will get to further her playing career as she was selected in the inaugural American Softball Association professional draft Wednesday night. Murphy was the 46th pick in the draft, going in the 12th round to E1 Pro Ballers. The former Big Sky Newcomer of the Year just wrapped up her career as a Thunderbird after two seasons in which she was a Big Sky All-Conference selection. She led the team in batting average (.388), slugging percentage (.765), on base percentage (.474), runs scored (27), and doubles (11) in her senior season. Murphy also set a new Southern Utah single-season record for slugging percentage by more than 15 points with her .765 in 2018. 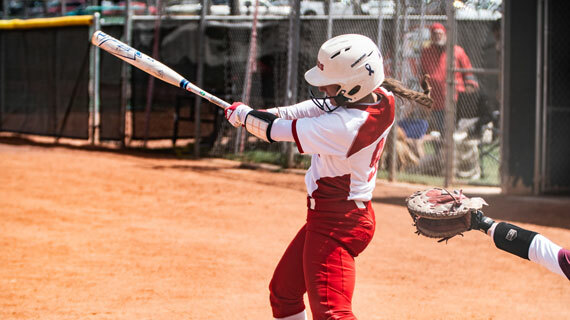 The ASBA is a brand new professional softball league looking to launch its inaugural season this month. It’s first summer season will take place over a six-week period, running from June 15 to July 31 with all games being played in Mobile, Alabama. There will also be a fall tour and a winter season before the end of the year. Stay up to date throughout the Thunderbird softball offseason by following @SUUSoftball on Twitter and Instagram and liking the Southern Utah Softball page on Facebook.